ACT vs. Redesigned SAT: Which Test Is Right For You? Now that the school year is in full swing, you are likely having conversations around college preparation and standardized tests. 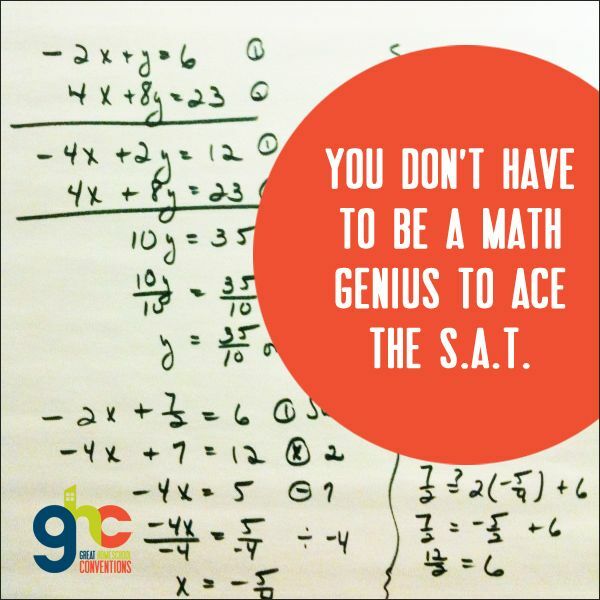 Because most colleges and universities accept both exams, one question we always get here at MathSP is whether one should take the ACT or the SAT. While we have no particular preference, it is important for you to understand both tests so that you know what you’re up against. With a comprehensive understanding of the ACT and the redesigned SAT, you may decide to take one or the other, or give both a try! Vocabulary is tested in context and focuses on important widely used words and phrases found in texts in many different subjects. No longer are you required to memorize words from flashcards that you will never use again! Because of these changes, the ACT and SAT exams are more aligned now than they ever were before. 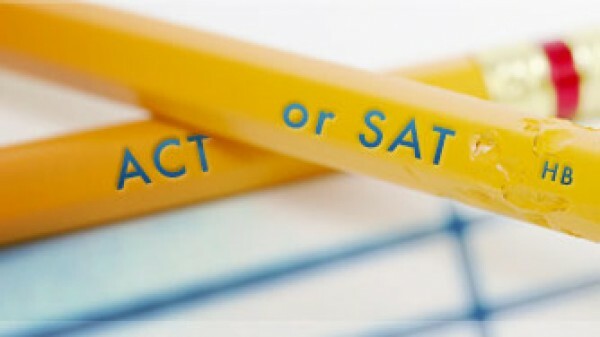 Let’s explore some of the similarities and differences between the ACT and the redesigned SAT in order to help you make an informed decision about which test is the better fit for you. On the contrary, the redesigned SAT is divided into two separate math sections: Math Test – Calculator and Math Test – No Calculator. On the calculator section, you will be given 55 minutes to answer 38 questions; on the no calculator section, you will be given 25 minutes to answer 20 questions. This allows more time per question as compared to the ACT, averaging 87 seconds per question for the calculator section and 75 seconds per question for the no calculator section. Also note that the redesigned SAT includes both multiple-choice questions (four answer choices) as well as grid-in questions. The ACT composite (total) score ranges from 1-36. Each of the four sections are also scored from 1-36. The Math, Reading, and English sections include subscores made up of the content covered within each section of the test which range from 1-18. The redesigned SAT composite score ranges from 400-1600. Each of the two sections, Evidence-based Reading & Writing and Math, are scored from 200-800. In addition to the composite and section scores, you will also receive test scores, cross-test scores and subscores. The breakdown of each type of score is outlined here and explains in detail what each score represents. MathSP’s expert Test Prep Coaches can help you to determine which test is better for you and prepare you to score higher so that you are more desirable and competitive in your college admissions applications. Learn more about our ACT Bridge program and SAT Bridge program and how each provides effective concept-driven approaches and strategies to all sections of the the exams, providing you the tools and confidence you need to achieve your highest score. Contact MathSP today to get started on your path to test success! If the mention of the word ‘math’ gives you testing anxiety, take a deep breath and release! There is no reason to fear: MathSP can equip you with key tips and tactics that will make the math section of the SAT and ACT easier to manage. Before taking the SAT or ACT, make sure that you have studied pre-algebra, geometry, and algebra with functions in high school. If you plan to take the ACT, algebra II and trigonometry are also necessary. While taking these classes, focus on grasping the concepts and get extra help if necessary. You’ll need a solid foundation in these subjects to do well on the SAT and ACT. Be informed of the math concepts tested on the exam you are preparing to take. Fortunately, you’re not required to know every topic covered in your math textbooks. Make a list of the math concepts that are covered in your classes and tested on the SAT, ACT, or SAT Subject Tests so that you can better focus your time and efforts while you’re studying. Are the symbols and variables blending together with the words? Can you read equations as fluently as you can read this sentence? Math is a language in the same way that English is a language. The more you familiarize yourself with the language of math and how it translates the everyday “stuff” of the world into expressions and equations, the faster you’ll be able to see past the wording and start thinking about the best way to solve the problems. The more difficulty you have “reading math,” the more time you will need to invest in mastering this skill. Spend some time becoming STEM Fluent. Becoming “fluent” in math requires countless hours of concentrated studying. Schedule uninterrupted time to practice your math skills. Yes, you’ll have to turn off your cell phone, computer, television, and any other electronic device. You’ll also want to study in a location with limited noise and distractions. Uninterrupted study will increase your level of focus and diligence. Be consistent with your studying; plan this time (just like you would plan going to a movie or visiting a friend) and practice on a daily basis leading up to your test date. Test makers are good at creating ‘wrong answers.’ Don’t fall into the traps! If you learn the language of math, how to read the questions, and testing strategies, you will avoid falling for the wrong answers. If you choose to get prep from the MathSP private coaching option or the small group course option, it is important to reflect on each lesson on your own time. After each session with your MathSP Coach, review the concepts, strategies, and problems that you learned, and work the problems again without assistance to make sure you’ve mastered the material. 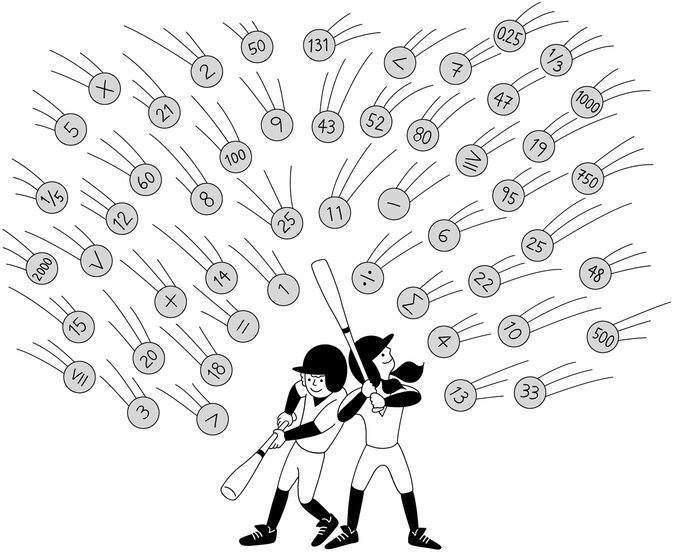 Repetition is extremely important because it enables you to fully grasp the concepts and strategies on your own. If you’re struggling with a particular kind of problem, be sure to review the underlying concepts with your MathSP Coach. Practice, practice, practice is the best way to commit your new math skills to long-term memory so that when you take your test, you’ll be able to quickly deploy the tools and concepts that you’ve learned. Finally, your mindset is key to learning and mastering test prep math. With a confident and motivated state of mind you can find creative ways to remember the rules, formulas, relationships, concepts and strategies that pave the road to Test Day Success. MathSP provides you with math test prep problems and solutions on the MathSP Facebook page and Twitter page. This is a great way for you to connect and engage with other students who are studying for college admission exams. Try working these problems on your own, and then review the detailed solution that follows each problem. Remember, it’s critically important to practice and hone your skills on a daily basis leading up to your test date! Contact MathSP today and let our expert Academic and Test Prep Coaches help you put these ideas into practice to achieve your target test scores! Each new school year brings annual standardized testing for high school students. Starting with the PSAT in October of each year, standardized tests including the SAT, ACT, APs, and SAT Subject Tests fly at you fast and furious. With increasing pressure on educators to assess student performance, the pressure on parents to ensure that their children are prepared to succeed mounts considerably as well. To succeed overall, it is important for you to plan, prepare, and practice in order to perform. These “4Ps” will enable you to reach your target score and fortify your confidence as you begin to tackle these exams. So what can you do to get ready? The right kind of practice will enable you to achieve your target score and maximize your chances of getting accepted into the colleges of your choice. The number of students who have received test prep from MathSP and, as a result of achieving a high test score, have earned scholarships that helped pay for college is simply staggering! There’s no question: making the investment on the front end will help you save money on the back end! Eat Healthy Foods – Eating food that is good for your brain before a strenuous task like an exam can improve your score. Be Comfortable – Test time is not the time to make a fashion statement – unless the fashion statement is comfy! Exercise More – Studies show that you can increase processing speed and memory by working out. So grab a test buddy and start exercising. Plan for Your Test Environment – As much as you can, practice studying in an environment that is similar to where you will take the test to simulate a real testing experience. Practice Yoga or Meditation – Learning how to relax your body and mind during the exam can reduce your stress and increase your chances of success. Develop Mental Toughness – Prepare mentally every day. Just like Gabby strengthened her body for the Olympic Games, you can strengthen your mental muscles. Complete a mental workout by doing practice problems every day to dramatically improve your focus and ability to consistently achieve. Consistently engaging in opportunities to boost your STEM Fluency will sharpen your mind, improve your grades, and make test day a cinch! Make Short Term Sacrifices for Long Term Gains – Gabby moved away from her family to train with her coach and become a world-class gymnast. As much as you can, be committed to studying in an environment that is similar to where you will take the test to simulate a real testing experience. 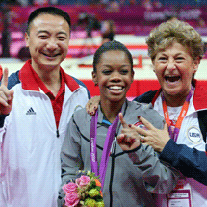 Get a Good Coach – Gabby clearly has plenty of raw talent, but the mentorship of her coach Liang Chow also played a major role in her success. You want your Test Prep Coach to have proven expertise and credibility. The MathSP Team is here to be YOUR Liang Chow. We will help you maximize your raw talent, boost your skill set and understanding, and build your confidence.